When someone in our family has a stroke, it can be a very difficult event. Of course, we want to make sure our family member is going to be okay, but sometimes it can be difficult to communicate with medical professionals. Listening to doctors, nurses, & other members of the medical team can be like listening to a different language. In speech therapy, patient education is usually the first step, because by the time you get to us, you probably have plenty of questions. We are going to break down some of the terms you may hear discussed when you or a loved one has a stroke. Let’s start with a simple one. 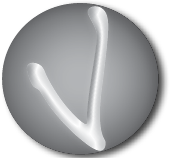 CVA: A CVA or Cerebrovascular Accident is another word for a stroke. You can either have an Ischemic Stroke or Hemorrhagic Stroke. Ischemic means blockage and Hemorrhagic means a brain bleed. Dysphagia: Difficulty or inability to swallow. This can result in aspiration (food or liquid going down the wrong pipe) which can cause pneumonia. Dysarthria: This is when speech sounds slurred due to muscle weakness or muscle incoordination. Apraxia: This is a neurological disorder that results in a person’s inability to perform physical movements, whether it is speaking or moving one’s arms and legs. The person wants to perform the task but motor planning is impaired. In other words, the brain knows what it wants done, it just doesn’t know how to do it. Aphasia: The loss of one’s language resulting in difficulty communicating. A person can have difficulty with speaking or understanding others. This usually results from damage to the left side of the brain. Quadriplegia: Total or partial paralysis of all of the limbs. TPA: Tissue Plasminogen Activator, or TPA, is a drug used to break up clots in an artery. The drug will dissolve the clot to restore blood flow to the brain. This drug is only used if there is a clot, not if there is a hemorrhage. TIA: Transient Ischemic Attack, or TIA, is when blood flow to a certain part of the brain is cut off for a short period of time, usually less than 15 minutes. A TIA is a warning sign that something is wrong, and it should be taken as seriously as a stroke. Thrombus: This a blood clot that forms in a blood vessel in the brain. Lability: When a person has emotional responses that do not coincide with the current situation. Endarterectomy: Surgical removal of plaque from an artery. Stenting: Placing a small mesh tube in an artery during an angioplasty. LTAC: Long term acute care. Skilled Nursing Facility: A facility that offers long-term care and rehabilitation with therapy such as physical, occupational and speech therapy. The most important thing to know is what to do if we think a loved one or anyone is having a stroke. We use the acronym act FAST. FAST is an easy way to recognize the most common symptoms of a stroke. Speech: Ask the person to repeat a simple phrase. Does their speech sound slurred or strange? Time: If you observe any of these symptoms call 9-1-1 immediately. Acting quickly is important. Note the time when you began observing these symptoms. If you or a loved one had a stroke, and communication or speech is a problem. 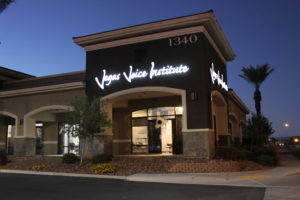 Contact Vegas Voice Institute for speech therapy at 702-558-9900 so we may assist. We provide speech therapy for patients having difficulty communicating or understanding others. Let us help you regain your communication.